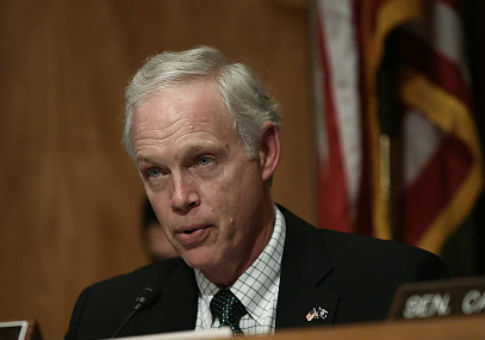 Sen. Ron Johnson (R., Wis.), chairman of the Senate Homeland Security and Governmental Affairs Committee, on Wednesday requested information concerning the approval to move Leandra English from the Office of Personnel Management (OPM) to the Consumer Financial Protection Bureau (CFPB). In a letter to the OPM's acting director Kathleen McGettigan, Johnson laid out his concerns with English being converted from a political appointee at the OPM into a career position at the CFPB that included a salary increase of over $11,000. "After the election of President Trump but before his inauguration, Ms. English successfully turned a political appointment by President Barack Obama at OPM into a career position at the CFPB through the approval of the then-Acting Director of the OPM, to whom she served as the Principal Deputy Chief of Staff," the letter reads. With "less than eleven months after Ms. English’s conversion to a career position, former CFPB Director Richard Cordray appointed Ms. English as CFPB Deputy Director," the letter added. "A mere three days later, on November 27, 2017, Ms. English was fully prepared to file a lawsuit seeking an emergency temporary restraining order to serve in the capacity of Acting Director of CFPB." Johnson also explained how a political staffer converts to a career position by a practice called "burrowing." The method can be used to undermine the merit-based process found in civil services. "Burrowing is a practice whereby non-career, political staff are ‘converted’ to career positions outside of competitive hiring processes. Burrowing threatens to undermine the merit-based principles that serve as the foundation of the civil service because they allow political staff to be favored over candidates that may be more qualified for the job," Johnson said in the letter. In recent days English has been defended by Democratic leaders who have continued to call her the "active director" even after a judge ruled in favor of Trump's move to have Mick Mulvaney run the CFPB. House Minority Leader Nancy Pelosi (D., Calif.), Senate Minority Leader Chuck Schumer (D., N.Y.), Sen. Elizabeth Warren (D., Mass. ), and Sen. Catherine Cortez Masto (D., Nev.) have continued to back English through social media, cable news, and press releases as she continues her lawsuit. Warren appeared on CNBC and Bloomberg on Monday, making the argument that English was the "active director." Johnson has requested information "to better understand OPM’s approval of Ms. Leandra English’s request to burrow into the CFPB" to be provided by December 12. The HSGAC requested all information surrounding English's move into the CFPB including documents, communications, and "the process used to approve Leandra English’s conversion." "A description of the process used to approve Leandra English’s conversion to a career position, including the names and positions of those OPM officials who reviewed and approved the conversion; and the internal controls in place at OPM regarding personnel decisions that affect senior OPM officials," the letter reads. On top of English being appointed by Obama to the OMB, she also coordinated events with Warren in every state during the senator’s push for the CFPB. English's lawyer has refused to disclose who is paying for the lawsuit against Trump’s move to assign Mulvaney to become the CFPB director. This entry was posted in Politics and tagged Consumer Financial Protection Bureau, Elizabeth Warren, Mick Mulvaney, Ron Johnson. Bookmark the permalink.